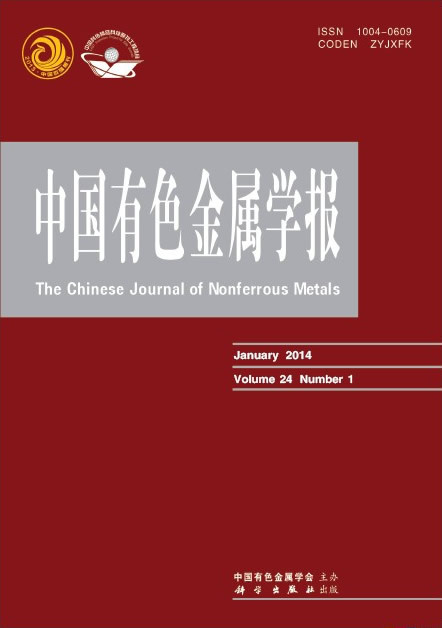 Abstract:NbCr2 composite materials were prepared by mechanical alloying and hot pressing. The relationship between the defect structure and mechanical properties in the NbCr2 Laves-phase compound was discussed. The defect structures of NbCr2 alloys in the Laves-phase solubility ranges (i.e. the Cr contents range is 61%−69% (mole fraction)) were studied by XRD and density measurement methods. The results show that the anti-site defects exist in the NbCr2 Laves-phase intermetallics when its composition deviates from the stoichiometric composition (33.3%Nb−66.7%Cr). The maximum hardness of 9.41 kN/mm2 and minimum fracture toughness of 5.55 MPa∙m1/2 occur in the stoichiometric composition, which is not similar with the behavior of most other intermetallic compounds. Meanwhile, the brittleness of the compound decreases when the composition deviates from the stoichiometry. The presence of point defects results in toughening effect in the NbCr2 Laves-phase, which is contrary to the behavior of most other intermetallic compounds.